What role, then, does the resurrection of Jesus play in the overall story of redemption? There are at least four major truths about the resurrection that teach us about its absolute necessity. So … not only can we say, “He is risen indeed,” but we can also say with Paul: “For the Lord himself will descend from heaven with a cry of command. …And the dead in Christ will rise first. Then we who are alive…will be caught up together with them…and so we will always be with the Lord” (1 Thess. 4:16–17). Maranatha! “Our Lord, come!” (1 Cor. 16:22). “Christ had all sin laid upon Him, but no sin lived in Him. ‘He was numbered among transgressors,’ (Isa. 53:12). He who was numbered with the persons of the Trinity, He is said ‘to bear the sins of many,’ (Heb. 9:28). Years from now, historians will look back at our day and observe — among other things — the disproportionate amount of time we spent commuting to work. I’m blessed with a commute that is only about 15 minutes each way, but I know many whose daily traverse eats up hours each day. I’ve recently been convicted that these hours should not be squandered away, but can and should be exploited. Your morning commute can become a very productive part of your daily routine. If you’re like me, there just aren’t enough hours in the day to read everything you want to. I’ve started taking advantage of several inexpensive (and even free) ways to listen to great books. I once listened to half of Malcolm Gladwell’s Outliers on the drive into the mountains. Another time, I listened to Dostoevsky’s 800-page classic The Brother’s Karamozov in about three weeks during my daily commute. Most public libraries now have audiobooks on CD you can check out for free. I’ve recently discovered the iPhone app OverDrive that allows users to check out and download audiobooks to their phones and listen for 21 days. The biggest selection of audiobooks is at Audible. They offer audiobooks with a no-hassle return policy. I buy 12 credits every year. I also regularly use my iPod to listen to sermons, teachings, courses, and podcasts that are specific to areas in which I want to grow. You can use your commute to sharpen yourself vocationally and socially, as well as spiritually. Consider areas of your life you’d like to grow, and look for resources you might be able to listen to. Personally, I’m always looking for wisdom on interpersonal communication, leadership, teaching, and writing, and I have discovered several great resources. Keep an Audio Bible in your car and listen to the Scriptures. I prefer the ESV Hear the Word Audio Bible. This has been a great aide to my study and teaching. I was once teaching a class on James at church and listened to the book upwards of 20 times as part of my preparation. It was a pretty easy way to become very familiar with the book. I recently committed to a focused study of the Prophets. I’m going to start it by listening through a few times. Reading through the Prophets feels daunting. Listening to them feels much less daunting. As a general rule, our lives are too noisy. Some avoid the uneasiness of silence altogether, but we are wise to remember silence has long been considered a valuable spiritual discipline. I don’t do silence well or as frequently as I should. But I do recognize that regular times of silence are beneficial. Take a morning once and a while, and spend a portion of your commute in silence. There are certainly other productive ways to optimize your commute, but most will find a little intentionality goes a long way. If there are audiobooks, podcasts, sermons, classes or other resources you’ve recently benefited from, please recommend them below. I’m always looking for new resources to add to my own commute queue. It’s that time of year again. People seem to be pairing off like rabbits (at least in my newsfeed). Facebook has been lighting up with pictures of brides and bridal parties, and it is fun to see all the smiles and happy celebrations. Occasionally, an engagement announcement will pop up, and my first thought is, I wonder if they’re ready? I don’t mean it in a judgmental or even critical way. I just wonder what makes a couple ready for marriage. Certainly, no one enters marriage with complete confidence that they are ready for all that awaits. There are all sorts of unknown variables that even the most calculating person couldn’t possibly anticipate. One of the great mysteries of marriage is that it’s a commitment made in trust. You must trust yourself, your new spouse, and God — the giver of marriage. But are we left to only trust and take the leap? Or is there a way to know if we are really ready for marriage? I believe there is a good test we should keep before us on the road to marriage. It’s a test we should regularly take and retake, working daily as we grow. In fact, Jesus himself assessed those who came to Him by this same test. Of course, I’m talking about the state of the heart. On the road to marriage, it is extremely important to have an accurate understanding of your own heart and the heart of your future spouse. To misjudge the heart is not only foolish, it is downright dangerous. The struggle with determining what is in the heart stems from the universal capacity to cover and hide what is really there. Jesus pointed this out when He said, “This people honors me with their lips, but their heart is far from me” (Matthew 15:8). Think of the surprised looks when He said this. Jesus knew what was in their hearts and he saw when they were faking it. They were putting on a show and duping many, but Jesus wasn’t interested in how things appeared. He drilled right down to what was in their hearts. As we prepare for marriage and look for a person to marry, we ignore the heart issue to our own hurt. We must protect and nurture our hearts consistently and expect the same of those who we commit ourselves to. I’m not looking for a perfect heart, but a growing heart. I want to find someone who knows of the weaknesses in their inmost being and is fighting daily to grow into the image of Jesus Christ. I fear far too many work only to mask whats really in their heart, instead of working to purify it. On your road to marriage, here are a few heart questions to contemplate about yourself and the one whom you’d marry. 1. Do you habitually soak your heart in God’s Word? Having a regular, organized time in God’s Word is essential for purity. Jesus made a habit of reading the Scriptures and asked God to sanctify His people in the truth of God’s Word (John 17:17). Paul wrote to the Ephesians that Christ makes His church holy by, “cleansing her by the washing of water with the word” (Ephesians 5:26). God’s Word is compared to both food and water, because eating and cleaning are things we must do regularly. Your heart — much like your body — needs regular care and maintenance. In the same way you wouldn’t go days and weeks without a meal or a shower, you shouldn’t go long without feeding and washing your heart in God’s Word. 2. Do you habitually commune with God? We must also recognize that heart work is ultimately the work of God in us. As Job wrote, “Who can bring a clean thing out of an unclean? There is not one” (Job 14:4). We cannot purify our own hearts, but we can plead with God to purify them for us. Ultimately, we need God to do a heart work in us. Those who would be pure must pray with David, “Create in me a clean heart, O God, and renew a right spirit within me” (Psalm 51:10). Spending regular time alone with God, asking Him to purify our hearts, is a sure way to grow a heart ready for marriage. 3. How do you respond to stress, pressure and exhaustion? The heart often shows its true colors at points of stress and difficulty. If you want to know the state of a particular heart, pay attention to how it responds when life cracks around the edges or falls apart. The sinful attitudes, words and actions that flow from our hearts in these moments may reveal that we’ve been neglecting our hearts or need to refocus our efforts. 4. Are you aware of the sin in your heart, and do you quickly repent of it? One of the key indicators of our heart’s position before God is how we respond when we sin. Those further along in their sanctification will quickly identify sins, confess them and turn from them. This process of intentionally abandoning sin is called repentance, and Jesus regularly used this word when calling people to himself. As Peter taught, “Repent therefore, and turn back, that your sins may be blotted out” (Acts 3:19). Be wary of heart tendencies to hide, negate, negotiate, or rationalize sin. Pure hearts turn from sin quickly, thoroughly and often. 5. Do you prefer the company of the pure in heart? Lastly, the pure in heart will draw close to others who are pure in heart. In the same way “bad company corrupts good character” good company promotes good character. Look at a person’s closest friends and you will learn something about the state of their own heart. Many have found growing in Christ has meant finding new friends. Those who are growing closer to God will naturally surround themselves with others growing in the same. It’s important to regularly consider the state of your own heart. Much like the cultivation of anything of great value, it requires intentionality and diligence. Those who are heading toward marriage should look closely at their own heart and at the heart of the one whom they might marry. Our culture tends to overemphasize what we can see with our own eyes, but the unseen quality of the heart is far more significant. No one will ever perfectly reflect the heart of Christ in this life, but let us be attracted to those who are doing the careful work of becoming pure in heart. Scholar Richard Rushing spent 10 years compiling these devotional bits from the the great Puritan thinkers (Baxter, Bunyan, Charnock, Edwards, Owen, Rutherford, Sibbes, etc). I walked through it day-by-day a few years ago and always found fresh, deep, provocative reflections. This is one of my favorite devotionals available right now. I have a copy on my desk at work and another on my desk at home. It’s that good! Spurgeon was a master at balancing his sophisticated intellect and pastoral heart. His daily offerings from various verses throughout the Scriptures are always practical and gospel-saturated. Few share his ability to go so deep so quickly, never wasting a word. This new ESV edition, edited by Alistair Begg is my personal favorite. I discovered the letters of John Newton when Tim Keller put them on his 2008 Summer Reading List. 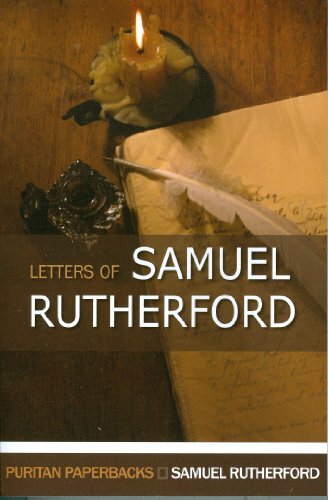 As Keller put it, “These letters are classics of spirituality and devotion.” This famous slave trader once converted, became a minister of the gospel and wrote of the beloved hymn, “Amazing Grace.” These letters are worth reading and rereading. This collection of Puritan prayers is excellent. Capturing the tenacity with which the Puritan pastors and thinkers pursued their personal faith, they stir the heart with their depth of passion. Much like the Psalms, these prayers will add vocabulary to your prayer life. If growing in prayer is your aim, then The Valley of Vision must become part of your repertoire. In a sense, I want to be wrecked again by the high price Christ paid to atone for my sins and to overflow with love for and faith in our Savior. This year, I’ve been reading through John Piper’s short book Fifty Reasons Why Jesus Came to Die. 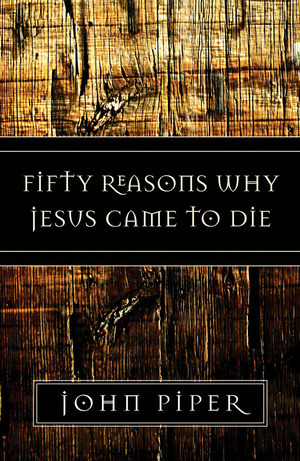 Piper offers 50 biblical reasons why Jesus died for us. Even a cursory read of the chapter titles can be very inspiring, but the book – which is available as a free PDF – offers two-page explanations of all 50 statements. This Easter, take time to meditate on all Christ accomplished for you through His death and resurrection. May a deeper knowledge, faith and love be yours in Christ Jesus.